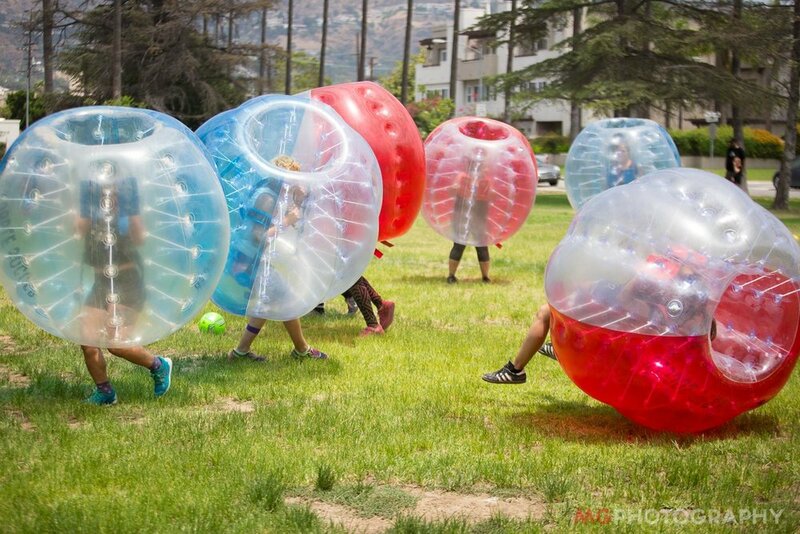 Bubble soccer is a fun new sport based on soccer that involves bumping into each other and falling over. The good news is that you are far more likely to experience a significant injury playing normal sports. The bubble suit is designed with falling in mind and is extremely cushioned. In a properly inflated bubble suit, it is impossible to hit the ground through the bubble. Never had anything close to this. Knock on wood. Falling properly is the first key to avoiding injury. Your objective should always be to land on the bubble and to fall with the bubble. If you try to avoid falling or brace yourself with your legs you are more likely to land on your knees or hips or fall awkwardly. Since you wear the bubble like a backpack and it goes far over your head, it’s impossible to hit your head when using the equipment correctly. With this in mind, flipping over is preferable to landing on your legs. In reference to sports in general, 30 million American children participate in organized sports and there are 3.5 million injuries each year. We only have anecdotal research and each event is different with different players and different conditions. In a random 100 event survey with over 300 participants, with injuries that prevented players from returning to the games, we saw a total of 12 bumps and bruises, 6 sprained ankles or knees, and 3 strained back and nothing where the person couldn’t walk off under their own power. So in comparison, anecdotally, we see similar, if not fewer, injuries in bubble soccer sports.